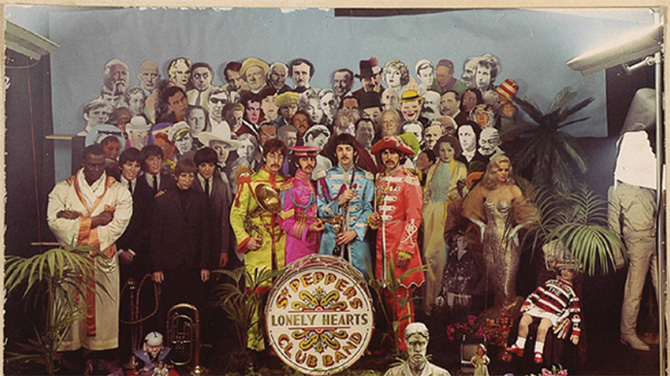 If the songs of the Beatles' era-defining Sgt Pepper's Lonely Heart's Club hadn't cemented themselves in the public consciousness - When I'm Sixty Four, Lucy In The Sky With Diamonds - then surely the album cover was always going to. 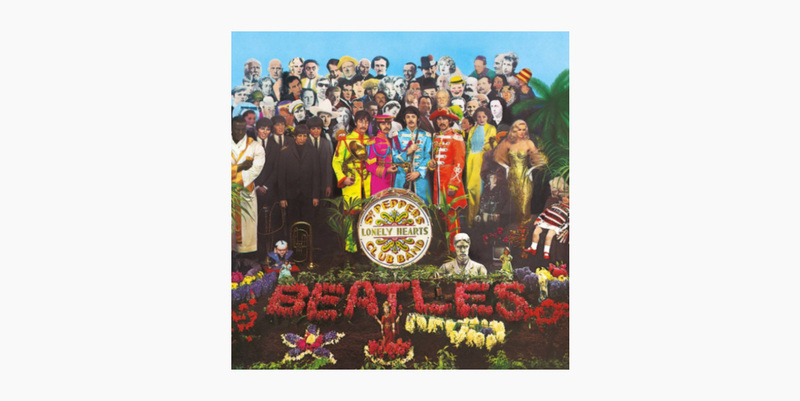 The pop-art star Peter Blake created the peculiar mis-en-scene which has been crowned one of the most iconic album covers of all time; alongside those regimental-on-acid outfits, it features an array of characters from the occultist Alistair Crowley to Mae West alongside Bob Dylan, Marilyn Monroe and Karl Marx. 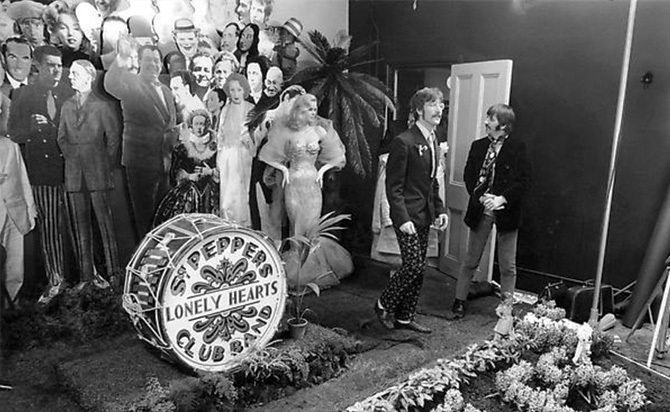 Joyously maximalist and filled with opaque references, it was Paul McCartney's idea to create a pastiche of an formal, officious dignitaries photograph. And the album within was just as multifaceted. 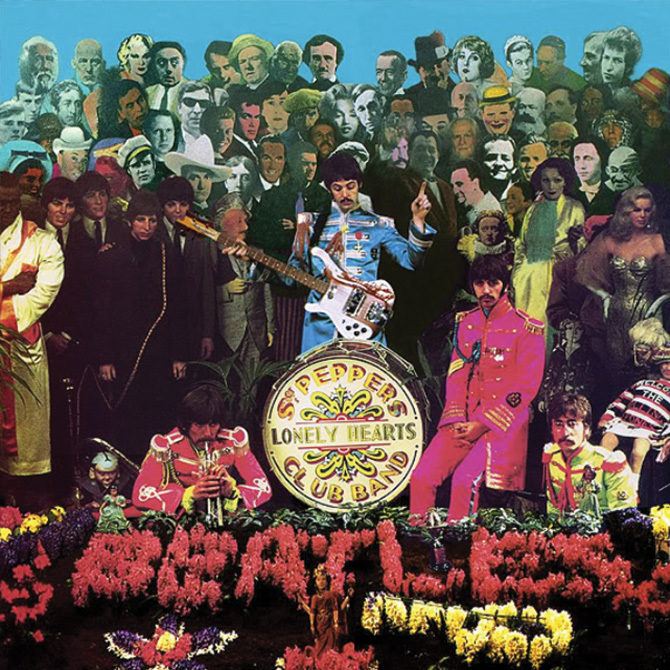 The LP became such a staggering commercial success - it even rocketed to no1 when re-released this summer on the occasion of the 50th anniversary - thanks in part to the romantic narrative that McCartney constructed around a fictional Edwardian military band. This allowed a greater degree of experimentation; crashing band stand accompaniments and hints at vaudeville and country and western, a mishmash of styles that mimicked the chaotic iconography of the cover. That said, the songs were designed to flow into one another to ensure a sense of continuity and flow. The album also served to underline a potent dose of 60s psychedelia that had been bubbling slowly - the band had had adventures in India by this point - but never so forcefully celebrated to grand effect. And how very grand it was.